Demura Sensei: I started kendo when I was 8. The Sensei, also taught karate. I studied it a little bit. He later moved away and I began training at Mr. Ryusho Sakagami’s Dojo after that…about 1952. DOSHIN: Who were your instructors? Demura: The first, original instructor was Asano Sensei. Then, after that, Ryusho Sakagami Sensei. Demura: My Kobudo instructor was Shinken Taira Sensei. DOSHIN: Please tell us a little bit about each of your instructors, Sakagami Sensei and Taira Sensei? Demura Sensei: Master Sakagami was like a second father to me because I was with him for so long. He didn’t teach me much but he created me in a lot of different ways. He taught me a lot but not in the hand by hand sense. 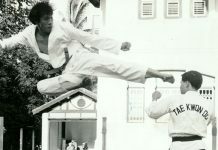 He was a great martial artist and a very kind human being. He could be short tempered at times but an instant later everything was fine. I liked his way to do it. Demura: I was a little older when I met him. The communication was a little hard as he was already older. But, he was a typical older martial artist. He said do it one way and it never changed . . . I only stayed with him two years. I lived at the Dojo so we trained everyday. Unfortunately, I couldn’t train with him for a longer time. I wished it could have been longer . . . 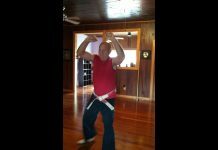 He was a one of a kind Kobudo master . . . you don’t see too many like him. Without him, I wouldn’t be where I am today. We don’t have too many qualified Kobudo instructors around today . . . not like the past. That is one of the reasons I would like to train more students in Kobudo. DOSHIN: Can you tell us more about Itosu Kai Shito-Ryu? Demura Sensei: Shito-Ryu is one of the four main styles of Japanese karate. Itosu-Kai is one organization within that style. Mr. Mabuni passed away in 1952. The style split four or five ways. Right now, we have Shito-Kai, which is the main root, led by Mr. Mabuni’s son. We have Shito-Ryu Itosu-Kai, which was led by Ryusho Sakagami. Shito-Ryu Shukokai is led by Mr. Tani. Mr. Kuniba started the Seishin-kai which is today, Motobu-Ha Shito-Ryu. Mr. Hayashi created Hayashi-Ha Shito-Ryu. Another group was created by Mr. Abe. Demura: The kata is a little different from the other groups. The real difference is the personality of the leaders. I took from Mr. Mabuni’s roots, blended it with Mr. Sakagami’s attitude. I came over here (USA) and put in my attitude. That is what is here today…Itosu-Kai USA. DOSHIN: This is your interpretation? Demura Sensei: Yes, each karateka is different. This fact must be accepted. A lot of people complain about the way they were trained but never change the methods when they become teachers. The student is subjected to a lot of contact as a white belt. They don’t like it but when they themselves become black belts…they do the very same thing. I don’t do it that way. If something disturbs me about the teaching, the training . . . I will change it. Demura: In the beginning, it was very different because tournament sparring had not yet really taken off. We trained mainly for self-defense. 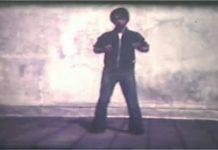 We emphasized techniques directed toward the eyes, throat, groin…things we would use in a streetfight. Later, when tournaments became more prevalent we started to train more with them in mind. The stances changed . . . the techniques changed. We concentrated on gyaku-tsuki and mae-geri. When I came to America, I found that the kumite involved fighters from all sorts of styles. There were all kinds of techniques. I think that this was a little better than what I was used to because it used more of the total karate. I remember that I was officiating a match where a contestant used a chop (shuto – uchi). It was a good technique but I didn’t award a point. I was still thinking the only real point was for reverse punch, front kick, or roundhouse kick. That was my education up to that point. The contestant accepted my decision. After the match, the contestant came up and asked me why I didn’t take the chop. I told him that it wasn’t an effective technique. He asked me why I bothered to teach it then. It was like . . . boom, IPPON!! I realized that he was correct. After that, as long as the technique was performed correctly and wasn’t blind or reckless I would give the point. DOSHIN: What is your personal training like now? Demura: I think everyone goes through the same process. When we are young we try to show how tough we are so we emphasize kumite. When you get older, the knees start to hurt…the shoulders start to ache. Then you start to appreciate kata. My instructor, Sakagami Sensei, always told me that Okinawan kata was easier on the body because it didn’t put as much stress on the joints. I didn’t appreciate what he was trying to tell me until later. Kata is very important…Kata helps you to learn so much about your body. 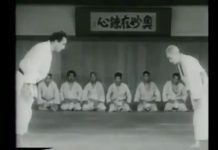 Shotokan’s kiba dachi places so much pressure on the knee joints as opposed to the shiko dachi used in most Okinawan kata. I emphasize more kata and kihon for myself. DOSHIN: Did you prefer kata or kumite as a competitor? Demura: I did both but like most young people I liked the kumite. I fought from 1959 to 1963, just before the Tokyo Olympics. After that I quit competing. Then, I came to America. Demura: After I stopped competing, I was still very young. I could either stay and become an official or leave the country and prove myself. I had a good friend, Donn Draeger. He was at a Kobudo Festival where my Sensei and I performed. In the audience was Dan Ivan. Mr. Ivan contacted Mr. Draeger. Donn introduced me to Mr. Ivan. I had the opportunity to go to either America, Canada, or Africa. I chose America. I came here in 1965. DOSHIN: What are your memories of those early days in America? Demura: I have another old friend in this country, Mr. Tak Kubota. I had known him in Japan. In 1964, he told me he was going to America. I remember wishing that I could go too. So, in 1965, when I got to Los Angeles, one of the first things I did was to ask Mr. Ivan to take me to my old friend, Mr. Kubota. DOSHIN: Were you the first to demonstrate Kobudo in the United States? Demura: That is what most people think but I’m sure there were others before me. 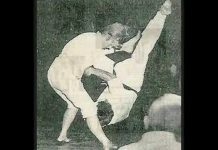 I was fortunate enough to be among the first to demonstrate them at Mr. Parker’s International Championships in 1965. Black Belt magazine was there and did the story. That is probably why most people think I was the first. DOSHIN: Do you feel all students should train with weapons? Demura: It isn’t for everyone but I would recommend some weapons training . . . say, at least six months to one year. Kobudo is a separate art from Karate but they share much common history. My approach to weapons training is different from my instructors. In the beginning, I use it more for supplemental training. Students run, lift weights, stretch . . . all to improve their karate. Some use the more traditional methods like makiwara, chiishi, or the iron geta. You can use the weapons like that . . . the nunchaku and tonfa are always being swung. This helps you to develop powerful forearms and wrists. This improves your punching and striking techniques. The same is true of the bo, sai, kama, and so forth. Of course, at a more advanced level I want the student to learn the traditional way. DOSHIN: How did you first get involved with the show business aspect of martial arts? For instance, the Japanese Deer Park or Las Vegas Hilton shows? Demura: I always dreamed of being an actor but my father said it was too difficult a lifestyle . . . so I never pursued it while I was in Japan. After I came to America, I came to know a student who was associated with a local attraction, the Japanese Deer Park. In the beginning the Deer Park was just a small attraction…maybe 20 or 30 deer. They would give demonstrations of various aspects of Japanese culture…like the tea ceremony. I offered to put on a karate demonstration for free. That is how it got started. The karate show got to be popular and a lot of people told the management how much they enjoyed it. The management gave me a three month contract to do more shows. After I got the contract, I got to thinking that we needed to do something different. After all, now we were professionals . . . people were paying to see us. We couldn’t do a Mickey Mouse job. Up until then, most karate demonstrations utilized the focus technique . . . you punched and stopped just short of contact while the opponent stood there. We changed it so that the opponent reacted to the technique . . . like the stunt people do today. It looked like we were hitting each other! Now, everyone does it like that. The show became even more popular…we lasted over seven years. Then we took the show to Las Vegas. DOSHIN: The Hilton . . .
Demura: Yes! We lasted about two years in Las Vegas. 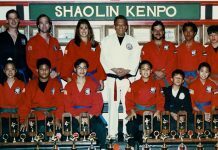 To my knowledge, we were the first and possibly the only professional karate “show” to perform in Las Vegas. DOSHIN: What was the schedule like? Both at the Deer Park and the Las Vegas Hilton? Demura Sensei: We did 12 shows a day at the Deer Park during the summer. Later, we did six shows a day in Las Vegas. We kept five students in Las Vegas and I would drive there every weekend. We did that for two years . . . no Christmas, no New Year’s. But, I enjoyed it. I never got tired or frustrated because it was for the good of karate. More people were exposed to good karate . . . true karate. Demura: Chuck Norris introduced me to the production people for the Karate Kid film. I sat down and looked at the script and read…Miyagi, Miyagi, Miyagi…every page. DOSHIN: Mr. Norris was thinking of you for the Miyagi role? Demura: That’s right. But I looked at that script and knew that I couldn’t do that role. I know my limitations as an actor. My English is not that good. I said thank you but I can’t do this. Later, Pat Johnson (the stunt coordinator) called me. I have to thank Mr. Johnson because he recommended me to the producers for Pat’s stunt double. I’ve been doing it for over 12 years now. DOSHIN: You did all four Karate Kid films, the Ohara television show? Demura: Yes, basically almost anytime Pat needs a stunt double, he asks for me. We’ve done several other projects since the Karate Kid films. DOSHIN: Sensei, please give us your first impressions of the following martial arts film celebrities and how those impressions have changed over the years. For instance, Chuck Norris…You have known him since 1965? Demura Sensei: Chuck is a wonderful man. He always takes care of his friends. He has a good heart and that is one of the signs of a true martial artist. DOSHIN: He was always nice to me. I have heard stories from other people that might make me think otherwise but I knew Bruce . . . he had a very strong sense of the martial arts. We were different styles but we both wanted the same thing . . . strong martial arts. I also agreed with something he said about wanting the money. He meant that once the money problem was solved . . . he could concentrate on teaching real martial arts. He wouldn’t be worried about losing too many students . . . not having enough money to support the family. That is a situation that worries a lot of instructors today. I would like to teach a few students what I want to teach. I could push them as hard as I wanted to . . . to help them really reach their limit. Now . . . I have to be concerned a little because of the business aspects but one day . . . soon. Demura: Mr. Kosugi was with me for about 12 years. He was one of the hardest working people I have ever met. We would give him the toughest jobs . . . he would just work and work. That is probably the biggest reason for the success that he has enjoyed. Demura Sensei: I’ve known Steven a long time. He trained in Aikido with Mr. Ishizaka. Everytime we did a demonstration and asked Ishizaka Sensei to perform…Steven would come along. He has this energy . . . I don’t know where it comes from but it really helps him to stand out. I am very happy for his success and I hope he continues to develop his art. DOSHIN: Please tell us about your latest film, Mortal Kombat? Demura: I didn’t know anything about this project but all of my younger students did. I have heard that the video game is very violent but Pat Johnson (the stunt coordinator) always manages to include parts of the traditional martial arts philosophy in his movies. I’m sure it will come across in Mortal Kombat somehow. Demura Sensei: Not necessarily. There are very good things about competition and some very bad things, too. Our teaching is typically about 90% towards the traditional Dojo training. If a student wishes to compete, then we will alter the training slightly to include the competition aspect. DOSHIN: What are the good and bad sides of competition? Demura Sensei: The worst thing is losing sight of your training just to win a trophy. Sometimes, the trophy gets to be the most important thing. That is not right. The student loses so much when he/she thinks like that. The good thing is that competition can help the student to learn about goal-setting. Competition allows the student to go through a learning process which includes a somewhat viable system of grading their performance at the end of the process. The end doesn’t always seem to work but the important thing is that the student went through the process…the increased training, the focused mind. I like for the students to compete at least once a year . . . it allows them to check up on their training. DOSHIN: The student learns that the training process is most important? Demura Sensei: Exactly! Sometimes, you have a student who doesn’t train but wins anyway. Perhaps they are more “gifted” in a sense. Yet, they don’t really win as much as the student who works and works to improve their performance. We all know of examples of both types . . . the “natural” who wins a few tournaments and then drops out of sight and the student who loses in the beginning but keeps on training. I want my students to understand that the competition is another small aspect of their total training. It is not the ultimate aim. DOSHIN: What changes would you like to see in competition karate? Demura Sensei: I would like the competitors to put “winning” in the proper perspective. For instance, a lot of the competitors are thinking there is an easy way to win at kata. They think that it is the particular kata that you perform, not how well you perform it, that is most important. I see them videotaping the katas at tournaments or they will buy videos and try to learn from them just so they can win. They don’t understand that most styles have a logical progression to their kata. You don’t start with the most advanced just to win. That kind of thinking can really hurt your training in the long run. DOSHIN: Do you recommend your students study other styles? Demura Sensei: I don’t recommend it for beginners but at advanced level I think they should at least learn something about other arts. It is like everything else in life…the more you know about something the more you can appreciate it. You might not like it but you can at least understand it and have some respect for it. If more people did that we might not have all the problems we have nowdays. Everything has a good and a bad side. DOSHIN: How do you convince a parent that karate is not too violent for their child? 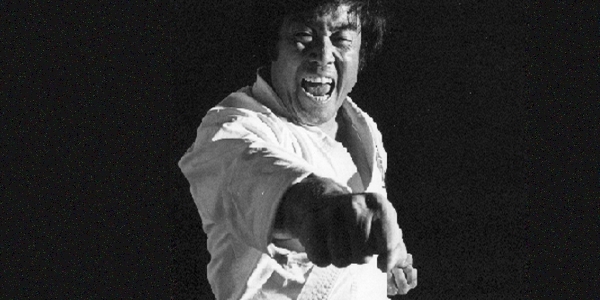 Demura Sensei: Karate can be violent…if it is not taught properly. People need to understand that. The first thing I do is get the child to like me…to trust me. After that, they listen to you and then I try to teach the lifestyle, the honesty, the hard work. DOSHIN: Would you like to see martial arts taught in the schools?…Taught properly? Demura: Yes, if it could be done properly and by the right instructors. You have to be very careful about those kinds of things. DOSHIN: Please describe the ideal relationship between student and instructor? Demura: Some instructors allow themselves to be placed on a pedestal…like a god. That is not right. Yet, you cannot have too close of a relationship. It is like most good relationships…there is mutual respect. That is the best for learning. Yet, it is difficult judging just how much is too much. DOSHIN: How has martial arts changed in the last 30 years? Demura Sensei: Videotapes have had a huge effect. I didn’t know a lot of these advanced kata when I was a sandan. Yet, today you have children trying to perform these very advanced kata . . . just for competition. The Olympic movement is also changing attitudes. For myself, I don’t want to be too involved in that area. I am a budoka. I want to enjoy my training. Yet, if people ask for my help, I always try to do my part. Instructors today also face major problems because of the threat of lawsuits. I understand that there are some instructors out there who should not be teaching. That is true of everything. There is good and bad in everything. Yet, this affects the way I teach, the way I relate to my students. My instructors would use the shinai to make sure you were focused . . . you were paying attention. They did not try to hurt you. They did it to help you concentrate. Nowdays, you don’t see too many instructors using shinai. 20 years ago, I didn’t think twice about helping a child fix his uniform. Now, you have to be cautious. This kind of concern leads to a different teaching style. You can’t push your students quite the same because you are concerned with a possible lawsuit or something. You cannot have quite the same kind of discipline as 20 years ago. Yet, where else is discipline being taught? DOSHIN: Is there a particular message you want to share with your students or karateka in general? Demura Sensei: I want them to achieve some level of success in their life. There are many ways to do this but I use martial arts to help me achieve the kind of success and accomplishments I have. People can learn to take the process they learn at the Dojo . . . set goals, train hard, be persistent . . . and apply it to their life outside the Dojo. I also want to remind the students to remember the little victories that martial arts has already helped them achieve. Parents tell me about their children’s poor grades…but I want them to also remember the good side. Their kids are not criminals. They are not selling drugs or killing people. Emphasize the positive and it will help you to move on to your next goal. That is the greatest part of being an instructor. I don’t care about the money. If I help my students to become better human beings . . . that is the greatest reward.